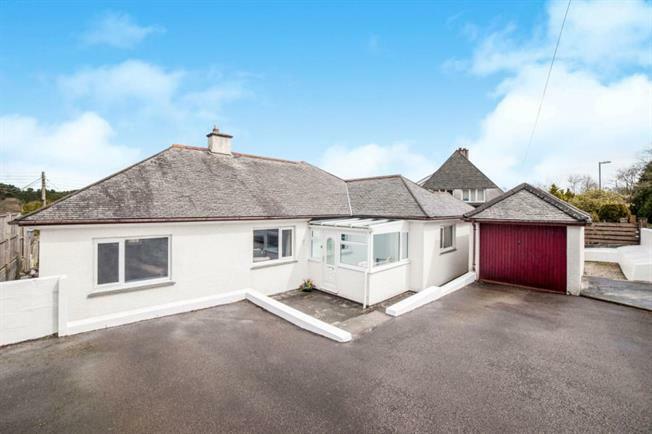 3 Bedroom Detached Bungalow For Sale in Truro for Asking Price £325,000. An extended three double bedroom detached bungalow situated on the outskirts of Truro city centre and very convenient for RCH Treliske and Truro College With generous sized entrance porch/conservatory, large L shaped lounge/dining room, refitted kitchen, three bedrooms (two with en suite shower rooms) and a family bathroom. 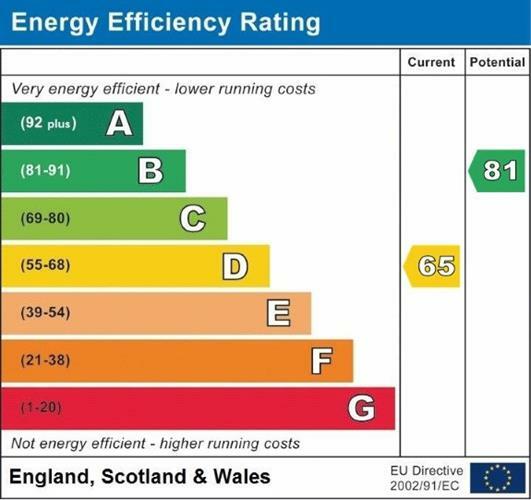 A gas fired central heating system and double glazing. Outside there is a detached garage and driveway for three cars. A generously proportioned and enclosed rear garden. May appeal to buyers looking for an income from part of the accommodation..
With double glazed windows to the front and double glazed front entrance door. Entrance door with side screen, radiator and two cupboards. (7.85m max 2.72m min x 6.45m max 3.19m min) A generous L shaped room with inset feature coal effect gas fire, three radiators, two double glazed windows to front and a double glazed window to rear. A range of wall and base units with work surfaces over, breakfast bar and matching uprights. A ceramic single drainer sink unit with mixer tap, space for slot in cooker with concealed extractor hood. Space for washing machine, dishwasher and free standing fridge/freezer. Ceiling loft access, storage cupboard, double glazed window overlooking the rear garden and double glazed door to rear garden. Double glazed windows to side and rear and two radiators. Tiled shower cubicle with electric shower, pedestal wash hand basin, low level WC and extractor fan. Radiator and double glazed window to rear. Tiled shower cubicle with mains shower, pedestal wash hand basin, low level WC and extractor fan. Radiator and double glazed window to rear. Double glazed window to side, radiator and built in wardrobe. Three piece suite comprising of panelled bath, pedestal wash hand basin and low level WC. Tiled shower cubicle with mains shower, extractor fan, part tiled walls, radiator and double glazed window to rear. To the rear is a fenced garden which is mainly laid to lawn a paved patio area, lighting, greenhouse, outside store and tap. To the front of the property is a driveway providing off street parking for three cars and in turn leading to a garage with up and over door.